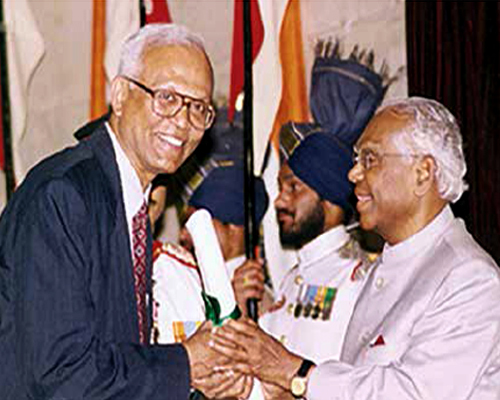 KOCHERIL Raman Narayanan was the 10th President of India, and one of our most accomplished civil servants, distinguished diplomats and stellar academicians. I met him for the first time in 1982. He was visiting the National Chemical laboratory. I had the unique opportunity to demonstrate an innovation of a super absorbing polymer- the Jalshakti, which could absorb water over hundred times its own weight. I still remember the probing questions that President Narayanan asked me about the potential use of Jalshakti in agriculture in rain-starved areas in India. In fact, we both even share the turning point of our academic lives. Both of us were Tata scholars. We both left India, only to return when we were fairly young with zeal to do more for our homeland. He, at the age of 27, and I, at the age of 32. You can see how right he was. I would have had to leave studies despite standing 11th among 135,000 students in Maharashtra in the matriculation exam in 1960. But it was the Tata Scholarship of Rs 60 per month for six years that helped me study. In 1960, when I used to go to Bombay House, Tata headquarters, to collect that Rs 60 a month, if someone would have said that you and Ratan Tata, the head of the Tata family, will be among the only seven Indians from the time of establishment of American Academy of Arts & Science in 1870, who would be elected as Foreign Fellows of the Academy, or that both will sign the Academy’s Fellows book one after the other on the same page on 15 October 2011, I would not have believed it. 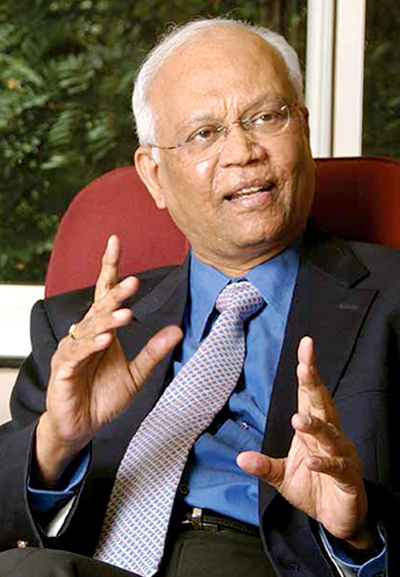 Tata Scholarships that President Narayanan and I received were a direct result of the sense of corporate trusteeship that the Tatas had always demonstrated. Perhaps, it is not widely known that world’s first ever charitable trust was set up by Jamsetji Tata in 1892, long before the Andrew Carnegie Trust (1901), the Rockefeller Foundation (1913), the Ford Foundation (1936) and the Lord Lever Hulme Trust (1925). 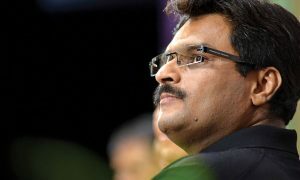 The establishment of these trusts was driven by the Tatas’ belief in giving back to the people what came from the people. THE meaning of such philanthropy has changed over the years. What was considered as corporate trusteeship is now being called Corporate Social Responsibility (CSR).The Tatas did CSR since they considered it to be their moral responsibility. 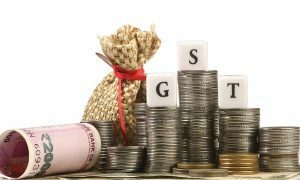 The Government of India has recently legislated that 2% of the net profits earned by the corporates must be spent on CSR. I would call this as CSR 1.0. Here, part of the surplus wealth goes back to people, either by free will or because of the need to comply with government legislation. So I would consider CSR 1.0 as “doing well and doing good.” This means after one has done “well” by amassing wealth, one turns to doing “good”, by setting up charitable trusts or foundations. 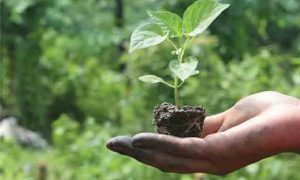 What do Indian businesses need to do to achieve CSR2.0? I propose that private sector can do well by doing good, if they adopt an ASSURED innovation strategy. Affordability (A) is required to create access for everyone across the economic pyramid, especially the bottom. For the 2.6 billion people in the world earning less than US $2 per day, such affordable products cannot just be low cost but must be ultra low cost. Scalability (S) is required to make real impact by reaching out to every individual in the society. Depending on the product, the target population may only be a few hundred thousand, or a few million, though in some cases, it may reach hundreds of millions. SUSTAINABILITY (S) is required in many contexts; environmental, economic and societal. In the long term, ASSURED innovation must promote affordable access by relying on basic market principles with which the private sector works comfortably, and not on continued government subsidies or procurement support. Universal (U) implies user friendliness, so that the innovation can be used irrespective of the skill levels of an individual citizen across the economic pyramid. Rapid (R) means speedy movement from mind to market place. Acceleration in inclusive growth cannot be achieved without speed of action matching the speed of innovative thoughts. Excellence (E) in technological as well non-technological innovation, product quality and service quality is required, not just for the elite few but for everyone in the society. Distinctive (D) is required, since one does not want to promote copycat products and services. Achieving all the individual elements of ASSURED innovation looks seemingly impossible but not necessarily so as we show now. Can we make high-speed 4G internet available at 10 cents per GB and make all voice calls free of cost, that too in a large and diverse country like India? Can we make high-quality but simple breast cancer screening available to every woman, that too at the extremely affordable cost of $1 per scan? Can we make a portable, high-tech ECG machine, which can provide reports immediately and that too at the cost of eight cents a test? Can we make an eye imaging device that is portable, non-invasive and costs three times less than conventional devices? the disease on day 1 at the cost of $2 per test? Amazingly, all this has been achieved in India, not only by using technological innovation but also non-technological innovation. so if you consider that this was 18 times the number of landline connections in 2006 when landline subscriptions peaked at 50 million. 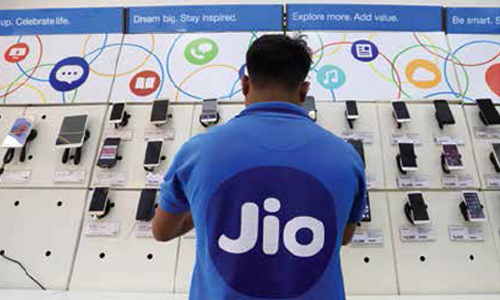 Competition in the Indian telecom sector reached a fever pitch in 2016 with the entry of Reliance Jio Infocomm Ltd. Today, millions of Indians enjoy the benefits of free voice calling and extremely affordable (10 cents per GB) high-speed 4G internet using their Jio connections. One incredible example is that of speech and hearing-impaired people using video calls to communicate with each other in sign language. One of the most important innovations was Jio’s greenfield LTE network is the first countrywide deployment of voice over LTE (VoLTE). Jio has a 4G LTE network with no legacy 3G or 2G services, making it the only network in the world with this configuration. Let me illustrate the point by talking about some winners of the Anjani Mashelkar Inclusive Innovation Award—an award I instituted in my mother’s name for innovations that will do good to the society at large. In 2015, breast cancer replaced cervical cancer as the leading cause of cancer deaths among women in India. Almost 200 million women aged 35 to 55 do not undergo necessary annual breast exams, which could potentially save their lives. 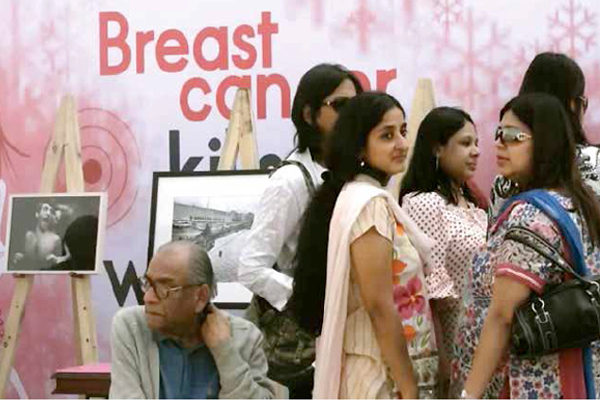 So how can we ensure that women in every corner of India undergo breast cancer screening? UE LifeSciences led by Mihir Shah has developed a handheld device that is used for early detection of breast tumours. It is simple, accurate, and affordable. It is painless because it is non-invasive. Screenings are safe, pain-free and private. They have also deployed an innovative pay-per-use model, which can empower doctors in every corner of the country to start screening women for breast cancer at the earliest. The device is US FDA cleared and CE marked. It is operable by any community health worker. And it only costs an amazing Rs 65 ($1) per scan. UE Lifesciences is not only doing good, it is also doing well. In the last year or so, the device has earned nearly $1 million in revenue and received purchase orders totalling nearly $2 million. The company has also entered into a strategic partnership with GE Healthcare for marketing and distribution of iBreastExam across more than 25+ countries in Africa, South Asia and South-East Asia and benefit more than 500 million women. CARDIOVASCULAR diseases are predicted to be the largest cause of death and disability in India by 2020. There is a pressing need to affordably, speedily and accurately monitor the heart health of Indians. This has been achieved by another awardee, Rahul Rastogi, who created a portable match box size 12- lead ECG machine. The cost is just Rs 5 (8 cents) per ECG test. His company created a disruptive high-tech innovative solution for personal cardiac care—the ‘Sanket’ electrocardiogram (ECG) device. Sanket is a credit card-sized heart monitor, which acts like a portable ECG machine, making it possible to monitor the heart condition, making it as simple as monitoring the body temperature. The high-tech 12-lead ECG recorder connects to a smartphone wirelessly, and displays and records ECG graphs on a smartphone. The ECG report can be shared instantly with a doctor via e-mail, Bluetooth or message. The affordable device marks a dramatic shift in the way we approach cardiac care. Then there is the third Anjani Mashelkar Inclusive Innovation awardee, 3nethra, an eye screening device. Eighty percent of all blindness is avoidable or curable. India is home to the largest number of vision impaired individuals. Eye screening device 3nethra provides a portable and cost-effective solution. It is an intelligent, portable, non-invasive, non-mydriatic low cost device that helps in pre-screening of five major eye diseases, namely, cataract, diabetic retinopathy, glaucoma, defects in the cornea and refractive errors with a powerful, inbuilt auto detection software. IT is a combination of robust hardware with cloud based computing and sophisticated image analysis solutions. The unique feature of the product is its versatile functionality—detection of five common eye problems in a single screening, automated analysis and report generation; and cloud based storage of individual data, all rolled into a single, compact machine. Today, they have 1,700 device installations across 26 countries and have touched two million lives. I have shared with you a few examples of ASSURED innovations, but India is home to dozens, perhaps hundreds of such innovations, which could have been ASSURED innovations. But it is a sad fact that in terms of ASSURED innovation, from supply side, they managed the elements of A, U, R, E and D but missed on S & S, meaning they could not achieve scale and sustainability. One was a near miss. Another was a total miss. Let me talk about the near miss first. The winner last year was Navin Khanna dealing with the challenge of Dengue detection. Dengue incidence has increased by more than 30-fold in the past 50 years. Currently, half of the global population lives under dengue threat. At the International Centre for Genetic Engineering and Biotechnology in India, Dr. Navin Khanna developed a test that can help address this problem. The three-in-one ‘Dengue Day 1 Test’ can detect dengue fever within minutes on day one of the fever, affordably in resource-poor settings. It can differentiate between primary and secondary dengue virus infections, which is so vital for clinical management of dengue infected individuals. Interestingly, it can also detect the presence of the virus in a mosquito. The test kit is now being exported to other countries too. Despite having a high-performing rapid dengue test that could detect both primary and secondary dengue virus infections in a reliable manner, it was still an uphill task to get it accepted by the end-users. 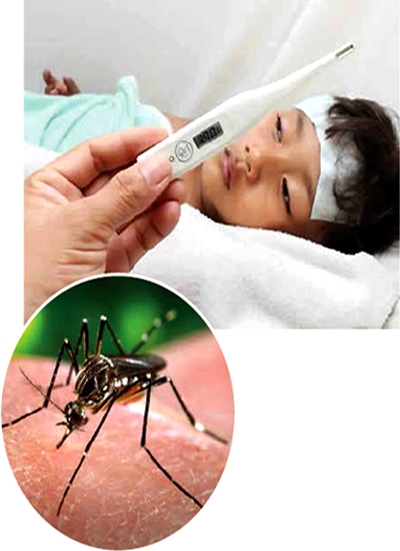 It was 2013, and many cities in India witnessed a large number of dengue cases. Three companies from USA, Australia and South Korea sold their yearly stock of dengue test kits within a few weeks and no test kit was available for use in the Indian market. When the India-made kit was offered to them, it was met with a great resistance. Because of the extensive paperwork required for import of these tests, companies from USA and Australia were unable to make the next shipment of dengue kits to India, however, a South Korean company was able to ship a new consignment to India. This shipment landed up in Africa by mistake instead of reaching India. It was at this stage that the end-users relented and tried the Indian kit. When stocks of imported kits finally showed up in India, there were no takers. In this case, serendipity and not a system played the biggest role. So the near miss was Navin Khanna’s Dengue Day 1 test. THE total miss was Simputer. It was designed to be a low cost and portable alternative to PCs. The idea was to create shared devices that permit truly simple and natural user interfaces based on sight, touch and audio. Simputer prototypes were launched by the Simputer Trust on April 25, 2001. It was hailed for its ‘radical simplicity for universal access’. Before the arrival of the smart phone in 2003, Simputer had anticipated some breakthrough technologies that are now commonplace in mobile devices. One of them was the accelerometer, introduced to the rest of the world for the first time in the iPhone. The other was doodle on mail, the ability to write on a phone, that was later a major feature on the Samsung Galaxy phones. Despite having achieved the elements of A, U, R, E & D in ASSURED, what went missing was S & S, namely scale and sustainability. This was because of the absence of innovation-friendly public procurement policy despite many rural-specific demonstrations. Here is an example of how a hard and strong public policy can work. Just over a year ago, I would have said that we stand on the cusp of a digital revolution. Today, I can say without any ambiguity that we are right in the midst of it. Our nation created history in 2014 when under the Pradhan Mantri Jan Dhan Yojna 18,096,130 bank accounts were opened in India in just one week, creating a Guinness World Record. It will provide access to various basic financial services for the excluded—basic savings bank account, need-based credit, remittance facility, insurance and pension. JAM combining J (Jan Dhan), A (Aaadhar identification and authentication) and M (mobile telecommunications) created the fastest and largest financial inclusion in the world, with 300 million plus bank accounts opening up in record time.